We're in the final count down to Mother's Day--a week from today. What have you got planned to make your mom feel special?! This year, is HUGE for us here at ChiIL Mama. You see, my daughter was actually born on Mother's Day back in 2003 and that makes this year her special GOLDEN BIRTHDAY! She'll be 11 on the 11th and once again it coincides with Mother's Day... so this year is extra extraordinary. My parents are coming in from Cincinnati for the weekend and we'll be celebrating with the suburban Grandparents as well. So, we've been scouring the internet and our press connections to make this one especially memorable and we're happy to share some top picks with you. Our plans are still in the works but you can be sure we'll bring our readers along via social media and we'll have a big photo and video filled recap up, shortly thereafter. 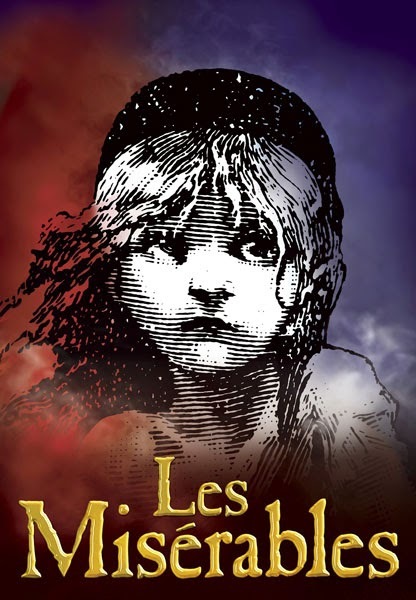 Drury Lane Theatre invites families to treat the matriarchs in their family to a spectacular Mother’s Day brunch, served from 10:30 a.m. to 5 p.m. on Mother’s Day, followed by the legendary musical LES MISÉRABLES at 3 p.m. or 7 p.m. The brunch buffet features a variety of carved meats, a seafood station, breakfast favorites, assorted sweets, champagne, mimosas, and child-friendly options. LES MISÉRABLES is the winner of over 50 international theater awards, including eight 1987 Tony Awards (two of which were for Best Musical and Best Score). For reservations, call 630.530.8300 or visit www.drurylane.com. We caught opening night of Drury Lane's LES MISÉRABLES and HIGHLY recommend it! The cast is superb and the intimate performance space sweeps up the audience in the story line more intensely than the Broadway touring show can do in a giant auditorium. Drury Lane does a phenomenal job with the set, multimedia screen imagery and costuming. Les Mis has long been one of my favorite musicals and I've seen the Broadway version several times, so I had high expectations. Drury Lane did NOT disappoint. Legendary fondue restaurant, Geja’s Café (340 W. Armitage) will treat all moms to a complimentary 5-minute massage on Mother’s Day, Sunday, May 11. Moms will step away from the table to receive a well-deserved pampering in a secluded relaxing atmosphere with licensed massage therapists while they dine. The restaurant will opening at noon on Mother’s Day. For reservations, call 773-281-9101.
aria, located at the Fairmont Chicago, Millennium Park (200 North Columbus Dr.) is offering a Mother’s Day brunch menu by Executive Chef James Phillips on Sunday, May 11 from 11:30 a.m. to 3:30 p.m. The hearty menu offers a variety of specialty items that are sure to please not only Mom but the whole family. The brunch is $42 per person. For reservations, call 312-444-9494 or visit www.ariachicago.com. Fairmont Chicago, Millennium Park (200 North Columbus Dr.) has the perfect “Urban Goddess” package for Moms looking for a night out with her friends. The package includes overnight accommodations for two in a Fairmont Guestroom, a $100 credit per room (per paid night to be used in mySpa for service) and overnight valet parking ($65 value). The package starts at $199 plus tax and gratuity. It is available now through December 31, 2014. Please call 312-946-8945 to make an appointment. Any unused credit is not refundable. Credit is per room, per night. 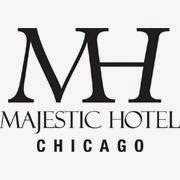 Spring is here, and mySpa, the luxurious retreat at Fairmont Chicago, Millennium Park, (200 North Columbus Dr.) is celebrating its 5th anniversary with a lunch and a manicure special for only $49.00. The offer includes an array of healthy lunch selections and a soothing express manicure in your favorite cheerful spring shade. 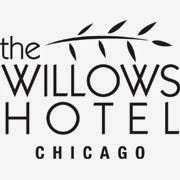 To book, call (312) 946-8945. *Offer is valid through April 30, 2014. From the writer of the long-running commercial success Over the Tavern comes the Chicago-area premiere of MIRACLE ON SOUTH DIVISION STREET at Theatre at the Center (1040 Ridge Rd., Munster, Ind. ), which tells the story of the working-class Nowak family as they cope with tested faith and life’s surprises. Directed by William Pullinsi, the comedy follows a supposed visitation by the Virgin Mary to a blue collar working class neighborhood, causing revelations for a family of Polish American Catholics. There is a 2:30 p.m. performance of MIRACLE ON SOUTH DIVISION STREET on Mother’s Day. For tickets, call 219.836.3255 or visit www.theatreatthecenter.com. One of the biggest blockbuster musical hits of our time, Andrew Lloyd Webber’s CATS has 1 p.m. and 5 p.m. performances on Mother’s Day at The Marriott Theatre (10 Marriott Drive, Lincolnshire.) CATS is directed and choreographed by multiple Jeff Award-winner Marc Robin with Musical Direction by Ryan T. Nelson. In 2003, the Marriott Theatre presented a new production of CATS, directed and choreographed by Marc Robin, which quickly became the best-selling show in the theatre’s long history and one of the audience’s most requested encores. For tickets, call 847.634.0200 or visit www.MarriottTheatre.com. We've had such a busy spring, I must confess we haven't caught CATS yet at The Marriott, but we have seen the Broadway version and this is one marvelous multigenerational musical that appeals to all ages, hence a perfect pick for Mother's Day fun. Massage Envy Bloomington (314 Towanda Ave., Ste 310, in Normal), which is hosting its Grand Opening on May 6, is featuring a special Mother’s Day package, including a one-hour massage and healthy skin facial session, for only $109.98 on Mother’s Day. The package cannot be combined with other offers. To make an appointment, call 309.862.0900 or visit www.massageenvy.com. 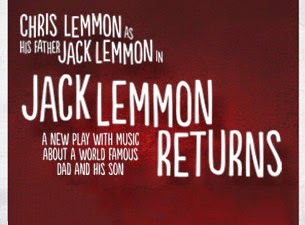 Continuing in a tradition of storytelling and music, Hershey Felder (George Gershwin Alone, Maestro Bernstein and last season’s smash hit Mona Golabek in The Pianist of Willesden Lane) will present the World Premiere of Chris Lemmon in JACK LEMMON RETURNS, a new play with music. There is a 3 p.m. performance on Mother’s Day at The Royal George Theatre (1641 N Halsted St.) The production is written and directed by Hershey Felder and based on the true story of the legendary Jack Lemmon (Mister Roberts, Some Like it Hot, Days of Wine and Roses, The Odd Couple) and his relationship with his son, actor and musician Chris Lemmon (Duet, That’s Life, Lena’s Holiday, etc.). For tickets, call 312.988.9000 or visit www.theroyalgeorgetheatre.com. Broughton Hotels, a group of newly renovated boutique hotels in Lakeview and Lincoln Park, offer the perfect Chicago neighborhood vacation for incoming Moms or for Chicago locals who just want a change of scene (without socks on the floor, dishes in the sink and little people always needing needing needing). 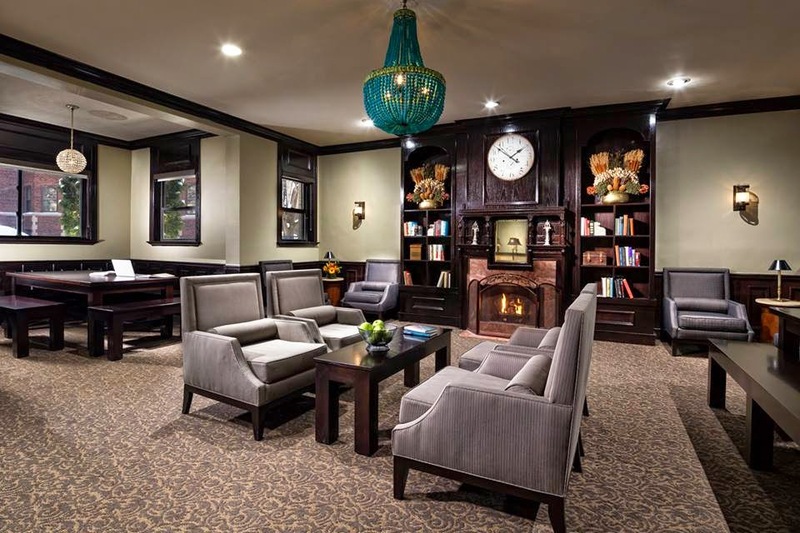 Conveniently located near trendy neighborhood boutiques, theaters and fine dining, the stunning properties at City Suites Hotel, The Majestic Hotel, and The Willows Hotel offer an intimate, neighborhood oasis. For more information, please visit majestic-chicago.com, willowshotelchicago.com, and chicagocitysuites.com.